It is now time for Dhanush's next big release as a producer under the banner of Wunderbar Productions. Yes, Produced by Dhanush, Vijay Sethupathi-Nayanthara starrer Naanum Rowdy Dhaan has been waiting under the wings for release. And at last, the first look of the film is finally out. The music of Naanum Rowdy Dhaan has been scored by Dhanush’s favourite music composer Anirudh Ravichander. 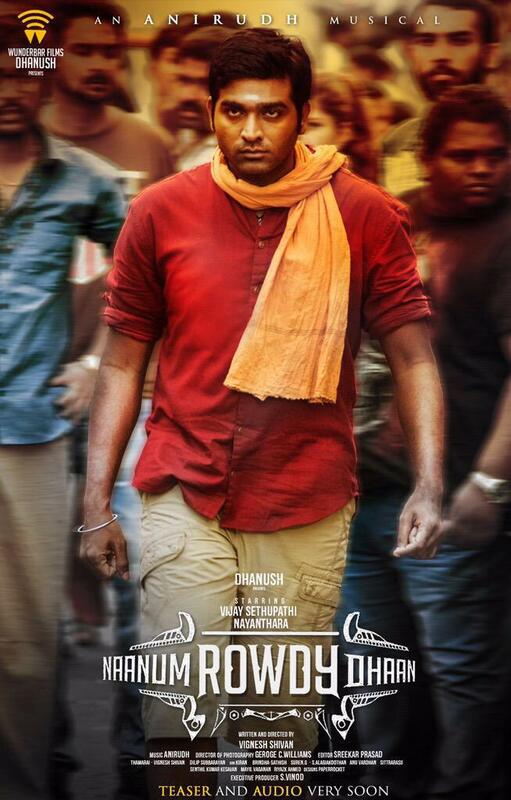 Vijay Sethupathi looks determined and his expressions convey that he means business. 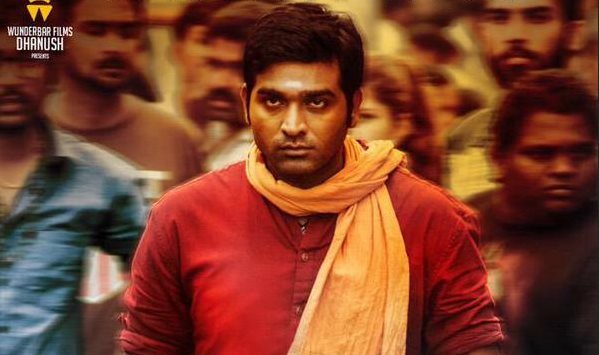 Wearing a beige cargo pant and a red shirt, with an orange towel around his neck and holy ash smeared on his forehead, Vijay Sethupathi stands tall and impresses in this first look. The actor has done away with his usual beard and looks handsome in this clean shaven avatar. Here are some reactions on social network. Directed by Vigneshh Shivan apparently planned to release on the 2nd of October for Gandhi Jayanti. Songs and the teaser will be releasing soon in few days.